CERTIFIED PRE-OWNED COVERAGE (inquire for details), Steering Wheel Controls, Satellite Radio, Portable Audio Connection, CD Player, Cruise Control, Keyless Entry, Power Locks, Power Windows, Security System, Low tire pressure warning, Telescoping steering wheel. Call us at (913) 222-5300 to schedule your test drive on this Sangria Red 2010 Mazda Mazda6 i Sport. Want to know more? Text us at (913) 215-5243 to chat about this vehicle! Oakes Auto strives to bring you the lowest prices possible, not just in the Kansas City area, but the entire United States. With our laid-back, quick and pain-free sales process, our high standard of customer service and our many financing options, we know you will find Oakes Auto to be a welcome change from your past experiences. All of our vehicles are reconditioned at our state-of-the-art service center and undergo a multipoint inspection to confirm they meet our expectations for our customers. Kansas City: 7301 State Ave, Kansas City, KS 66112 (913) 222-5300. New Price! Red 2014 Volkswagen Jetta SportWagen 2.0L TDI FWD 6-Speed Automatic DSG 2.0L TDI Diesel Turbocharged Jetta SportWagen 2.0L TDI, 4D Wagon, 2.0L TDI Diesel Turbocharged, 6-Speed Automatic DSG, FWD, Red, Titan Black w/V-Tex Leatherette Seat Trim, 10 Speakers, AM/FM radio: SiriusXM, CD player, MP3 decoder. Call us at (816) 474-2900 to schedule your test drive on this Red 2014 Volkswagen Jetta SportWagen 2.0L TDI. 29/39 City/Highway MPG Oakes Kia strives to bring you the lowest prices possible, not just in the Kansas City area, but the entire United States. 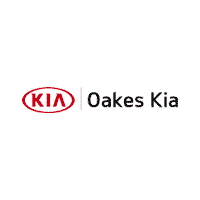 With our laid-back, quick and pain-free sales process, our high standard of customer service and our many financing options, we know you will find Oakes Kia to be a welcome change from your past experiences. All of our vehicles are reconditioned at our state-of-the-art service center and undergo a multipoint inspection to confirm they meet our expectations for our customers. 2900 Burlington, North Kansas City, MO 64116 (816) 474-2900. Clean CARFAX. CERTIFIED PRE-OWNED COVERAGE (inquire for details), Spacious Trunk, Portable Audio Connection, Low tire pressure warning. 23/28 City/Highway MPG Odometer is 19794 miles below market average! Call us at (913) 222-5300 to schedule your test drive on this Platinum Graphite 2013 Nissan Rogue S. Want to know more? Text us at (913) 215-5243 to chat about this vehicle! Oakes Auto strives to bring you the lowest prices possible, not just in the Kansas City area, but the entire United States. With our laid-back, quick and pain-free sales process, our high standard of customer service and our many financing options, we know you will find Oakes Auto to be a welcome change from your past experiences. All of our vehicles are reconditioned at our state-of-the-art service center and undergo a multipoint inspection to confirm they meet our expectations for our customers. Kansas City: 7301 State Ave, Kansas City, KS 66112 (913) 222-5300. Brand new 2017 hold over demo. You will be the first registered owner and receive the 10 year/100,000 mile warranty. We also have new car financing specials on these special units. Amazing savings on this special!! Clean CARFAX. Portable Audio Connection, CD Player, Keyless Entry, Power Locks, Power Windows, AM/FM/CD/MP3 Audio System, Dual front impact airbags, Dual front side impact airbags, Knee airbag, Low tire pressure warning, Overhead airbag, Power door mirrors. Odometer is 24661 miles below market average! Call us at (913) 222-5300 to schedule your test drive on this Mercury Gray 2017 Mitsubishi Mirage G4 ES. Want to know more? Text us at (913) 215-5243 to chat about this vehicle! Oakes Auto strives to bring you the lowest prices possible, not just in the Kansas City area, but the entire United States. With our laid-back, quick and pain-free sales process, our high standard of customer service and our many financing options, we know you will find Oakes Auto to be a welcome change from your past experiences. All of our vehicles are reconditioned at our state-of-the-art service center and undergo a multipoint inspection to confirm they meet our expectations for our customers. Kansas City: 7301 State Ave, Kansas City, KS 66112 (913) 222-5300. Brand new 2017 hold over demo. You will be the first registered owner and receive the 10 year/100,000 mile warranty. We also have new car financing specials on these special units. Amazing savings on this special!! Clean CARFAX. Portable Audio Connection, CD Player, Keyless Entry, Power Locks, Power Windows, Security System, Accessory LED DRLs w/Garnish, Driver vanity mirror, Front reading lights, Low tire pressure warning, Power door mirrors, Tilt steering wheel. Odometer is 9583 miles below market average! Call us at (913) 222-5300 to schedule your test drive on this Sapphire Blue 2017 Mitsubishi Mirage G4 ES. Want to know more? Text us at (913) 215-5243 to chat about this vehicle! Oakes Auto strives to bring you the lowest prices possible, not just in the Kansas City area, but the entire United States. With our laid-back, quick and pain-free sales process, our high standard of customer service and our many financing options, we know you will find Oakes Auto to be a welcome change from your past experiences. All of our vehicles are reconditioned at our state-of-the-art service center and undergo a multipoint inspection to confirm they meet our expectations for our customers. Kansas City: 7301 State Ave, Kansas City, KS 66112 (913) 222-5300. Brand new 2017 hold over demo. You will be the first registered owner and receive the 10 year/100,000 mile warranty. We also have new car financing specials on these special units. Amazing savings on this special!! Clean CARFAX. Backup Camera, Bluetooth, Hands-free, Steering Wheel Controls, Spacious Trunk, Portable Audio Connection, CD Player, Cruise Control, Keyless Entry, Power Locks, Power Windows, Security System, Alloy wheels, Automatic temperature control, Cargo Mat, Cargo Net, Cargo Package, Driver vanity mirror, Electronic Stability Control, Front fog lights, Front reading lights, Leather Shift Knob, Low tire pressure warning, Power door mirrors, Traction control. Odometer is 10797 miles below market average! Call us at (913) 222-5300 to schedule your test drive on this Sunrise Orange 2017 Mitsubishi Mirage SE. Want to know more? Text us at (913) 215-5243 to chat about this vehicle! Oakes Auto strives to bring you the lowest prices possible, not just in the Kansas City area, but the entire United States. With our laid-back, quick and pain-free sales process, our high standard of customer service and our many financing options, we know you will find Oakes Auto to be a welcome change from your past experiences. All of our vehicles are reconditioned at our state-of-the-art service center and undergo a multipoint inspection to confirm they meet our expectations for our customers. Kansas City: 7301 State Ave, Kansas City, KS 66112 (913) 222-5300. Brand new 2017 hold over demo. You will be the first registered owner and receive the 10 year/100,000 mile warranty. We also have new car financing specials on these special units. Amazing savings on this special!! Clean CARFAX. Backup Camera, Bluetooth, Hands-free, Steering Wheel Controls, Spacious Trunk, Portable Audio Connection, CD Player, Cruise Control, Keyless Entry, Power Locks, Power Windows, Security System, Automatic temperature control, Driver vanity mirror, Electronic Stability Control, Front & Rear Mudguards, Front Bucket Seats, Front fog lights, Front reading lights, Leather Shift Knob, Low tire pressure warning, Power door mirrors, Rear window wiper, Tilt steering wheel, Traction control. Odometer is 10849 miles below market average! Call us at (913) 222-5300 to schedule your test drive on this Pearl White 2017 Mitsubishi Mirage SE. Want to know more? Text us at (913) 215-5243 to chat about this vehicle! Oakes Auto strives to bring you the lowest prices possible, not just in the Kansas City area, but the entire United States. With our laid-back, quick and pain-free sales process, our high standard of customer service and our many financing options, we know you will find Oakes Auto to be a welcome change from your past experiences. All of our vehicles are reconditioned at our state-of-the-art service center and undergo a multipoint inspection to confirm they meet our expectations for our customers. Kansas City: 7301 State Ave, Kansas City, KS 66112 (913) 222-5300. Brand new 2017 hold over demo. You will be the first registered owner and receive the 10 year/100,000 mile warranty. We also have new car financing specials on these special units. Amazing savings on this special!! Clean CARFAX. Backup Camera, Bluetooth, Hands-free, Steering Wheel Controls, Portable Audio Connection, CD Player, Cruise Control, Keyless Entry, Power Locks, Power Windows, Security System, Auto-Dimming Rearview Mirror w/Homelink, Driver vanity mirror, Electronic Stability Control, Exhaust Finisher, Exterior Package, Front reading lights, Front, Rear & Side Air Dams, LED DRLs w/Garnish, Low tire pressure warning, Rear Lip Spoiler, Tilt steering wheel, Traction control. Odometer is 9622 miles below market average! Call us at (913) 222-5300 to schedule your test drive on this Mystic Black 2017 Mitsubishi Mirage G4 ES. Want to know more? Text us at (913) 215-5243 to chat about this vehicle! Oakes Auto strives to bring you the lowest prices possible, not just in the Kansas City area, but the entire United States. With our laid-back, quick and pain-free sales process, our high standard of customer service and our many financing options, we know you will find Oakes Auto to be a welcome change from your past experiences. All of our vehicles are reconditioned at our state-of-the-art service center and undergo a multipoint inspection to confirm they meet our expectations for our customers. Kansas City: 7301 State Ave, Kansas City, KS 66112 (913) 222-5300. Brand new 2017 hold over demo. You will be the first registered owner and receive the 10 year/100,000 mile warranty. We also have new car financing specials on these special units. Amazing savings on this special!! 2017 Mitsubishi Mirage G4 ES Clean CARFAX. Backup Camera, Portable Audio Connection, CD Player, Keyless Entry, Power Locks, Power Windows, Exhaust Finisher, Exterior Package, Front, Rear & Side Air Dams, LED DRLs w/Garnish, Low tire pressure warning, Power door mirrors, Rear Lip Spoiler, Tilt steering wheel. Odometer is 17632 miles below market average! Call us at (913) 222-5300 to schedule your test drive on this Mystic Black 2017 Mitsubishi Mirage G4 ES. Want to know more? Text us at (913) 215-5243 to chat about this vehicle! Oakes Auto strives to bring you the lowest prices possible, not just in the Kansas City area, but the entire United States. With our laid-back, quick and pain-free sales process, our high standard of customer service and our many financing options, we know you will find Oakes Auto to be a welcome change from your past experiences. All of our vehicles are reconditioned at our state-of-the-art service center and undergo a multipoint inspection to confirm they meet our expectations for our customers. Kansas City: 7301 State Ave, Kansas City, KS 66112 (913) 222-5300. Brand new 2017 hold over demo. You will be the first registered owner and receive the 10 year/100,000 mile warranty. We also have new car financing specials on these special units. Amazing savings on this special!! 2017 Mitsubishi Mirage SE Backup Camera, Bluetooth, Hands-free, Steering Wheel Controls, Satellite Radio, Spacious Trunk, Portable Audio Connection, CD Player, Cruise Control, Keyless Entry, Keyless Ignition, Power Locks, Power Windows, Security System, Automatic temperature control, Leather Shift Knob, Low tire pressure warning. New Price! billet silver metallic clearcoat 2016 Jeep Patriot Sport FWD 6-Speed Automatic 2.4L I4 DOHC 16V Dual VVT Patriot Sport, 4D Sport Utility, 2.4L I4 DOHC 16V Dual VVT, FWD, billet silver metallic clearcoat, dark slate gray Cloth, Automatic Headlamps, Body Color Door Handles, Body Color Liftgate Applique, Illuminated Entry, Keyless Entry, Power Driver 1-Touch Windows, Power Heated Fold-Away Mirrors, Power Value Group, Quick Order Package 2GA, Speed Sensitive Power Locks. Call us at (816) 474-2900 to schedule your test drive on this billet silver metallic clearcoat 2016 Jeep Patriot Sport. 21/28 City/Highway MPG Oakes Kia strives to bring you the lowest prices possible, not just in the Kansas City area, but the entire United States. With our laid-back, quick and pain-free sales process, our high standard of customer service and our many financing options, we know you will find Oakes Kia to be a welcome change from your past experiences. All of our vehicles are reconditioned at our state-of-the-art service center and undergo a multipoint inspection to confirm they meet our expectations for our customers. 2900 Burlington, North Kansas City, MO 64116 (816) 474-2900. New Price! Black 2015 Toyota Corolla L FWD CVT 1.8L I4 DOHC Dual VVT-i Corolla L, 4D Sedan, 1.8L I4 DOHC Dual VVT-i, CVT, FWD, Black, Black Cloth. Call us at (816) 474-2900 to schedule your test drive on this Black 2015 Toyota Corolla L. Odometer is 3604 miles below market average! Awards: * 2015 KBB.com 10 Most Affordable Cars * 2015 KBB.com 5-Year Cost to Own Awards * 2015 KBB.com 10 Best UberX Candidates * 2015 KBB.com 10 Tech-Savviest Cars Under $20,000 Oakes Kia strives to bring you the lowest prices possible, not just in the Kansas City area, but the entire United States. With our laid-back, quick and pain-free sales process, our high standard of customer service and our many financing options, we know you will find Oakes Kia to be a welcome change from your past experiences. All of our vehicles are reconditioned at our state-of-the-art service center and undergo a multipoint inspection to confirm they meet our expectations for our customers. 2900 Burlington, North Kansas City, MO 64116 (816) 474-2900.